That's a great question, "Is Soy bad for you?" the answer is YES. Soybeans for the long run are harmful to your health. Did you know soybeans directly out of the field are poisonous. Picked fresh they are toxic. To remove toxins the beans must go through harsh chemical processing. They get an acid bath to remove the outer surface. The bean is then heated at astronomical temperatures. At the end of the processing soybeans are pretty much devoid of nutrients, so they are artificially added back in. Along with the nutrients they add MSG. Soybeans are potent enzyme inhibitors. They block the action of trypsin, an enzyme which breaks down protein in the stomach. Also blocking other enzymes needed for protein digestion. They can and do generate severe gastric disturbance and critical deficiencies in amino acid uptake. Hear this: a diet high in trypsin inhibitors, like soy products, cause enlargement of and pathological problems in the pancreas. It could be a creator of cancer and diabetes. Soybeans contain a harmful protein called: haemagglutinin, a dangerous blood-clotting substance that causes red blood cells to clump together. 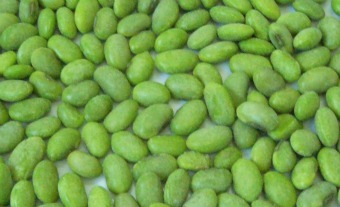 Soy also has a compound known as goitrogens, it is linked to thyroid dysfunction. Here's the bonus: "99% - a very large percentage of soy is genetically modified and it also has one of the highest percentages contamination by pesticides of any of our foods." Sally Fallon & Mary G. Enig, Ph.D.
Soybeans have phytic acid, which resides in the bran (outer covering) of seeds. This acid blocks the uptake of minerals in the body. Calcium, magnesium, copper, iron and worst of all zinc are inhibited by phytic acid. Zinc is needed for development and optimum performance of the brain and nervous system functions. Also important, zinc is needed for protein synthesis and collagen structuring. Zinc protects the body against diabetes and it's involved in a healthy reproductive system. Zinc is a vital enzymes because of it usefulness to our immune systems. 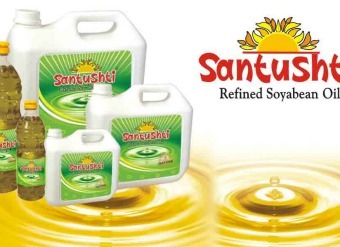 "Phytates" found in all soy products interfere with zinc absorption. Zinc scarcity can cause brain dysfunction, so you might want to reconsider eating soy products. Years ago all soybeans were used for was additives to paints and varnish. It was used as a rotation crop to extend the nitrogen in the soil. 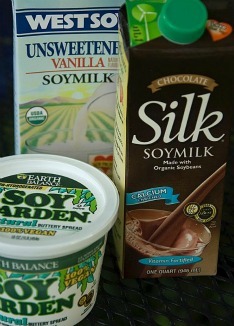 Now soy products are mainstreamed in every grocery store across America. The sale of soybean products is a billion dollar industry. are at risk of developing osteoporosis. Due to the blocking of calcium absorption. And other essential minerals and vitamins. along with minerals: calcium, magnesium, potassium, chromium, copper, iron and zinc.